Suzhou China was one of the least friendly places we went to in China. Quite simple. People were in places genuinely quite hostile but when i travelled to China in 2007 I really wanted to see some of the famous traditional Chinese gardens. There are quite a few Chinese and Japanese gardens which are usually part of a Botanical Garden but I wanted to see the real thing to compare. We did some research and decided to go to three gardens over two days. These were the Humble Administrators Garden, Panmen Scenic Garden and the Lion Forest Garden. The Humble Administrators Garden was by far the most impressive. It was large, beautiful and had a lot of really beautiful but fascinating architecture. I believe some of these gardens date back almost 1000 years ago and if you travel to China they’re definitely worth checking out. Suzhou itself is pretty unspectacular. We caught a train there from Shanghai and it took around four hours to get there. The hotel, and I wish I could remember the name, was pretty awesome. It was four star and it had the most comfortable bed I’ve ever slept in outside of a four seasons bed. It was great! Another thing we decided to do was go on a boat trip through Suzhou. Historically Suzhou was one of the major ports into China but this has since died down but it’s still cool to check out a new city by boat. 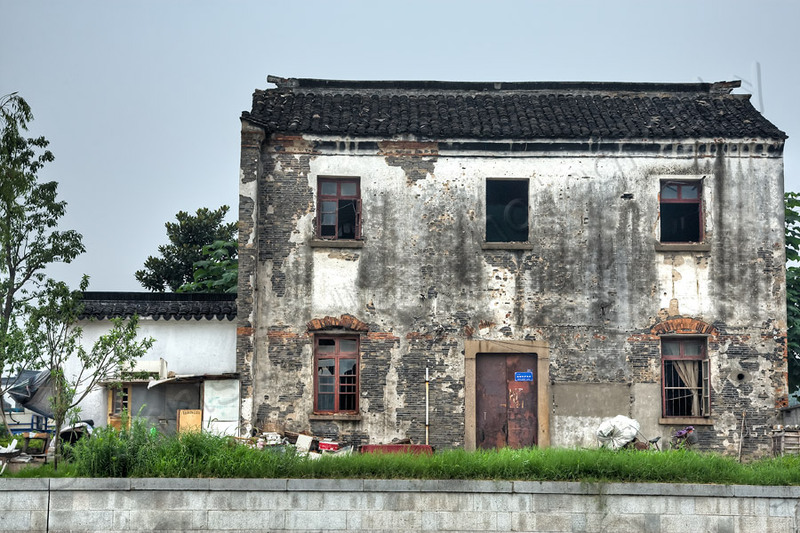 Suzhou town itself clearly has some money but the riverside seems to have been left to become destitute and it really has in places. We also had fun haggling the price. I don’t speak Chinese at all really but it’s Liv’s first language and something desperately important if you travel to anywhere in the East is you must haggle. Originally the boat tour guide wanted to change us something like £40 for the boat trip but with Liv’s expert haggling (she should have worked on the stock market) she got the price down to £5. Awesome!. But back to the unfriendly part. We ate out all the time in China and whenever I’m served in a restaurant I always say thank you. We went to a restaurant and I thanked a young waitress for food and she literally threw it on my table. Bad day maybe? If you travel to China then it’s worth coming here if you’re fascinated by botanical gardens or the like.